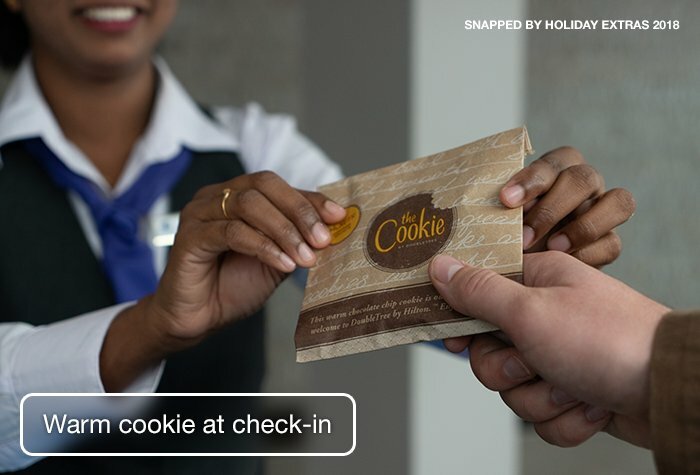 Every guest checking into this Heathrow airport hotel receives a legendary DoubleTree cookie, baked freshly on the premises every day. Warm, crispy yet gooey, and packed with melt-in-the-mouth chocolate chips, it's a decadent and unique welcome to a luxury four-star hotel that's just 10 minutes from Heathrow airport. 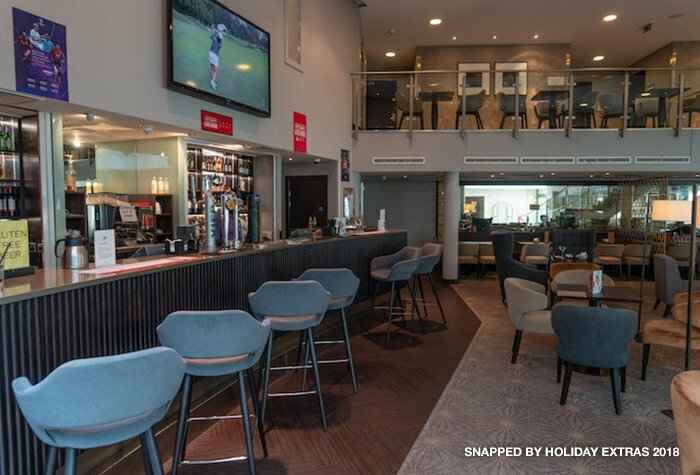 The DoubleTree by Hilton at London Heathrow Airport has a clean, contemporary and polished feel to it, after having undergone a major refurbishment in 2008 when it was transformed from a Ramada to a DoubleTree hotel. Its reception is bright and welcoming, with a glass ceiling that beckons the sun and brightens the whole area. 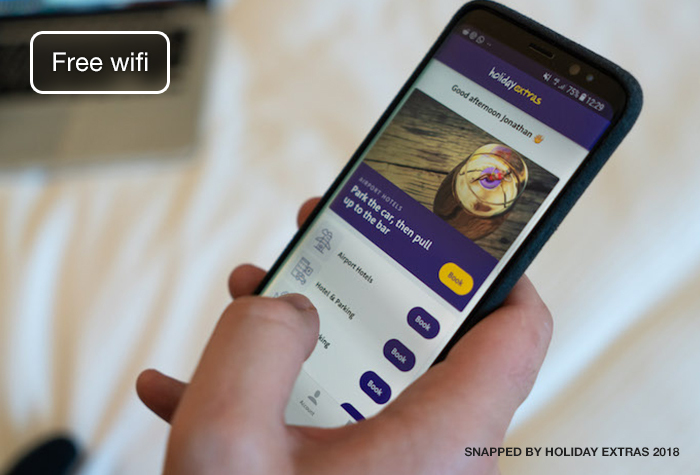 There's free wifi in the lobby and bar, where you can enjoy an Italian Piacetto coffee, a cocktail or a premium beer. For frequent Hilton guests, the DoubleTree offers points and miles through its Hilton HHonors scheme, just one of the many advantages of staying at the hotel. 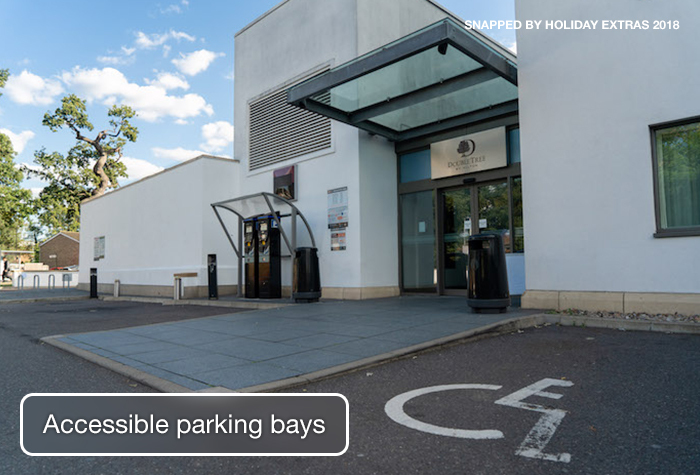 Convenience - You'll be at any Heathrow terminal within 15 minutes, with the Heathrow Hoppa bus stopping right outside the hotel's doors. 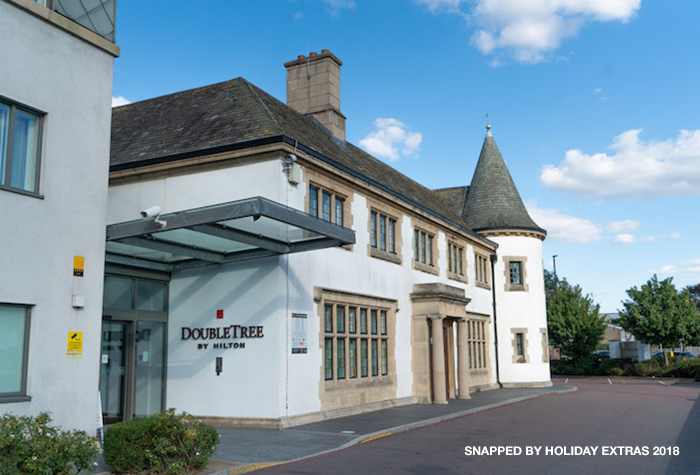 On your return journey, it'll take under 10 minutes as the DoubleTree is the only hotel that the bus stops at. What's more, you can save 50p on the price of a single ticket and £1 on a return if you buy your ticket in advance - and children under 15 travel for free! Not only is the DoubleTree very close to Heathrow airport, but you will hardly hear the planes, thanks to the triple glazed windows in every bedroom. 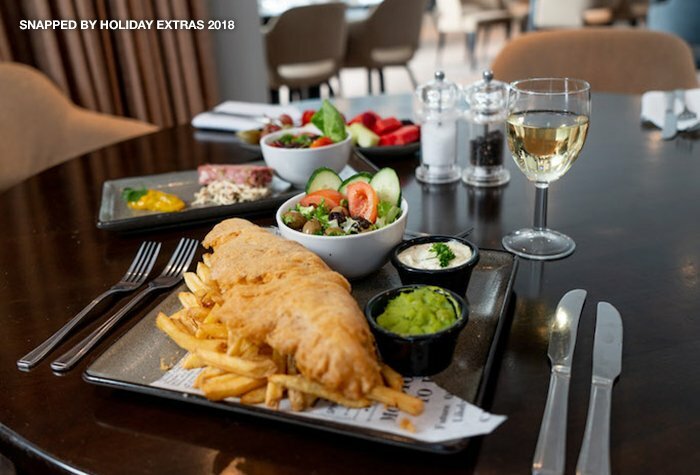 Eating and drinking - A wide variety of mouthwatering dishes to choose from, as well as 'breakfast of the day' offering delights such as pancakes and waffles. At dinner, you'll be spoiled for choice with pan fried sea bass, Aberdeen Angus beefburger and field mushroom and leek risotto. What's more, you'll get a 10% discount when booking through us! 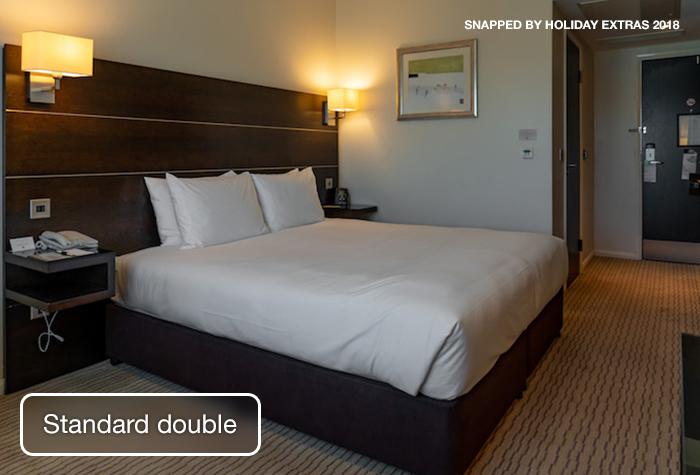 A great night's sleep - A great night's sleep is on the cards when you stay at the DoubleTree by Hilton at Heathrow. 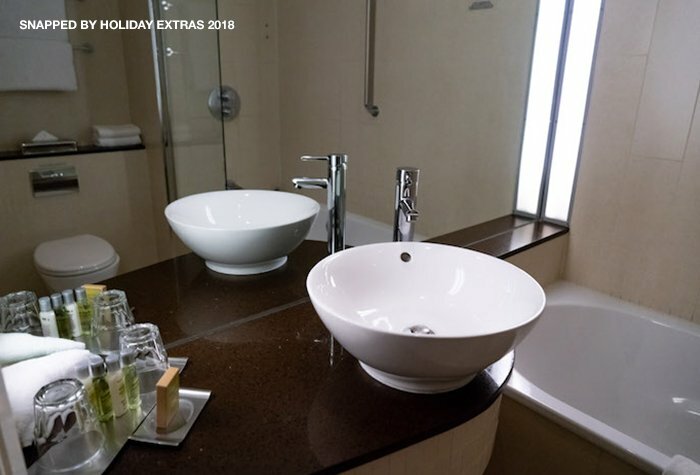 They use Sweet Dreams bedding, ensuring that all guests enjoy a comfy and cosy stay, and all bedrooms completely close off the outside world with soundproofed triple glazing and blackout curtains. The Heathrow Hoppa shuttle bus runs regularly from the hotel to all terminals during the airports opening hours. The bus stops at other hotels on the way, so it can take between 30 and 45 minutes. If you need it, overnight parking at the hotel costs £12.50. The Doubletree is less than 15 minutes from all terminals and closest to terminals 2 and 3. Driving instructions and a postcode for satnavs will be on your confirmation email. Travelling by train? The nearest station is Hayes & Harlington. Its 10 minutes from the hotel and a taxi will cost around £15. Rooms are spacious and soundproofed with a sitting area and a place to store luggage. 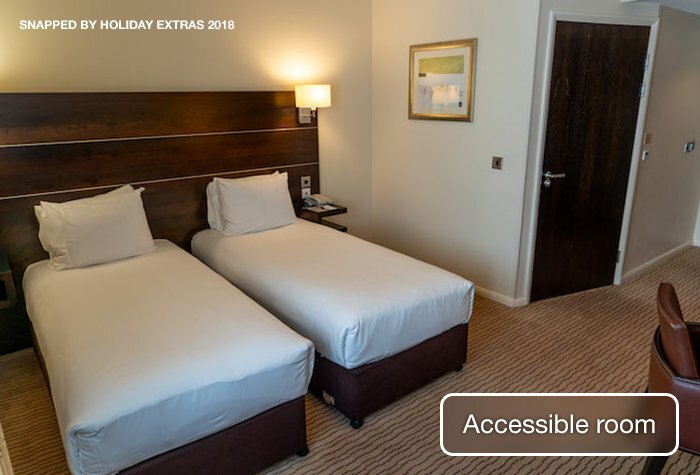 Triple rooms include a king-size bed and sofa bed or single bed. Family rooms include a queen-size bed and double sofa bed. Child age 15 and under. Its free throughout the hotel. Theres also a standard upgrade for £5 or a premium upgrade for £10. 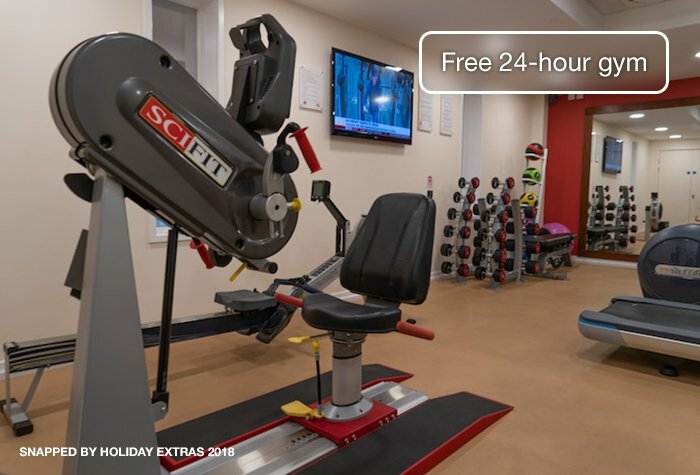 The upgraded options are not quite fast enough to stream shows online and best for simply checking emails or surfing the net, so wed recommend saving yourself a few pounds and using 4G on your mobile if you need to. 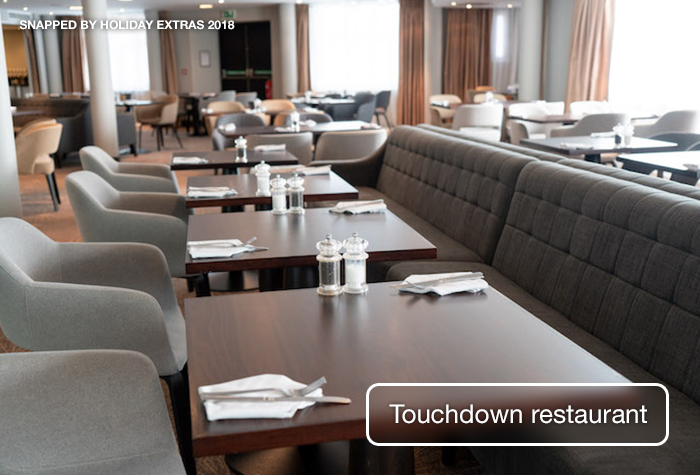 The Touchdown restaurant serves classic brasserie-style dishes like pan fried sea bass, hot pot and Aberdeen Angus beef burgers. The average main meal costs £15. Theres also an early bird deal where you can get 2 courses for £19 or 3 courses for £23 between 6pm and 8pm. Dinner is served daily from 6pm until 10pm. Tapas, lighter bites and cocktails are served in the bar area from 11am until 11pm daily. Lighter bites such as sandwiches and salads are also available with prices starting from £7. 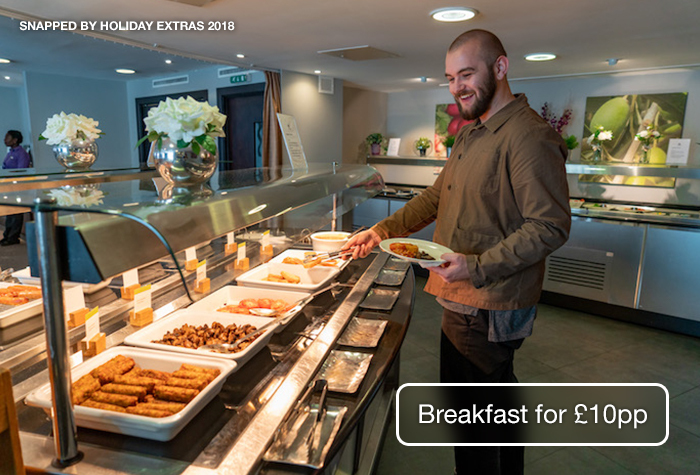 Its a large buffet of full English and continental breakfast. 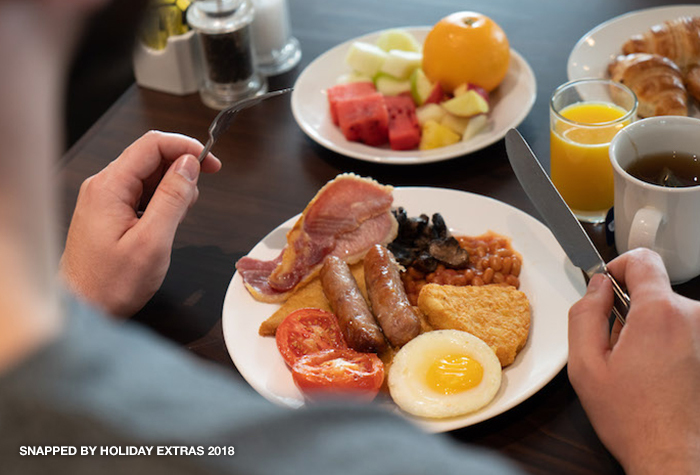 Breakfast costs £17 per person or £12 per person if booked with reception when you check in. Monday - Friday: 6am - 10am. Saturday and Sunday: 7am - 11am. 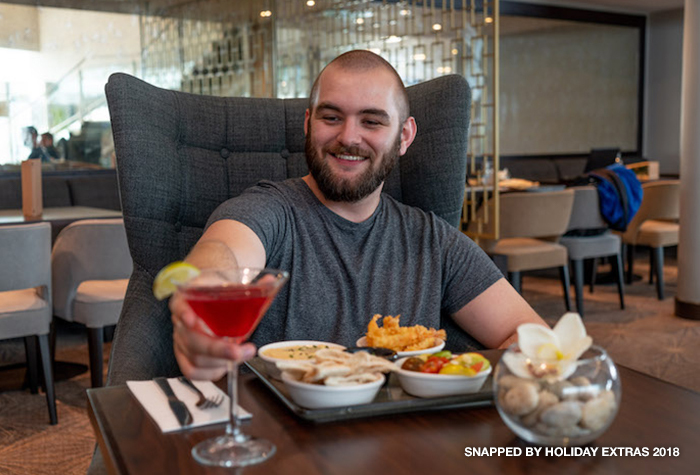 The Touchdown bar and restaurant is an open-plan space where you can get soft drinks, beer, wine and spirits. 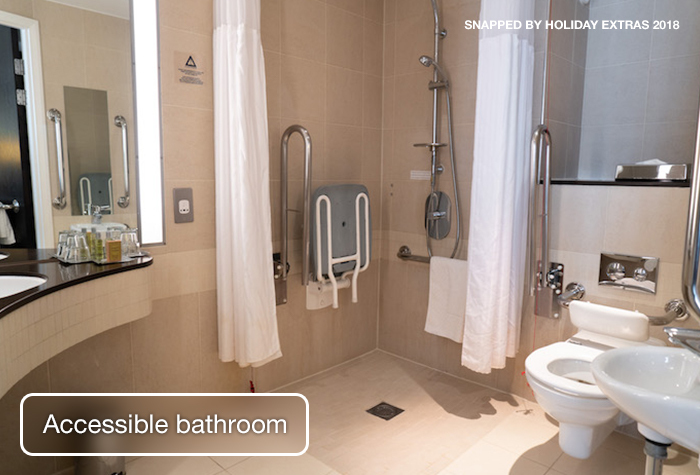 Disabled facilities Ground floor rooms are available on request. Drive to the hotel - your confirmation will include directions and a postcode for sat navs. Overnight parking costs £12.50. The Hoppa runs from 4am to midnight and goes to all terminals from the hotel - the journey takes between 30 and 45 minutes. Drive your car to Long Stay T4 in the morning before your flight. We recommend you give yourself at least 40 minutes before your flight check-in time to drive to the car park and transfer to the terminal. Then hop on the transfer bus to the terminal. It runs on request, takes 4 minutes and is included in the price. Get the transfer bus back to the car park from Terminal 4. Youll need to go to bus stop 3 to wait for the bus. Once you're at the car park, pick up your car and drive to the customer service office next to the exit, where they'll validate your ticket so you can leave the car park. All that's left then, is to drive out the barrier and head home. 1. Drive to Long Stay T2 and T3. Directions to the car park are given in your confirmation. You should give yourself at least 40 minutes to drive to the car park, park your car and catch the transfer bus to the terminal. 2. When you arrive at the car park, take a ticket from the machine at the barrier, then drive in and park your car. 3. Then make your way to the bus stop and catch the transfer bus to the terminal. 4. Transfers run when needed between 23:00 and 04:00. The bus runs every 8 minutes and takes just 15 minutes - and the best thing is, it's included in the price. You need to get back to the car park by bus. Call the car park and let them know which terminal you are at, along with your bus stop number and which car park you require. When you get back, collect your car, then drive to the exit barrier, insert your ticket and wait for it to lift. Drive out the barrier and head home. Excellent parking service! Hotel was a bit tired looking, rooms were small. thatâ€s all. The arrangements on the outgoing journey ran very well. However our flight home was changed to a later time and this was changed using the net several days before the journey. When we arrived at Heathrow this morning we were told that the car should have been collected at the cancelled flight time. We therefore had to wait quite a long time for our car to be delivered to the airport. Easy booking and easy processing both outwards and return. Staff very helpful at the airport. Our customers rated DoubleTree on average 9/10 (177 reviews). 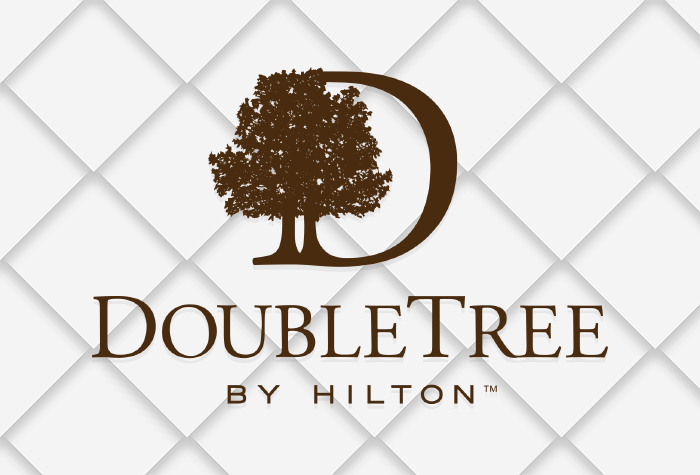 Read DoubleTree reviews.